All Pratesi Firenze products can be monogrammed. 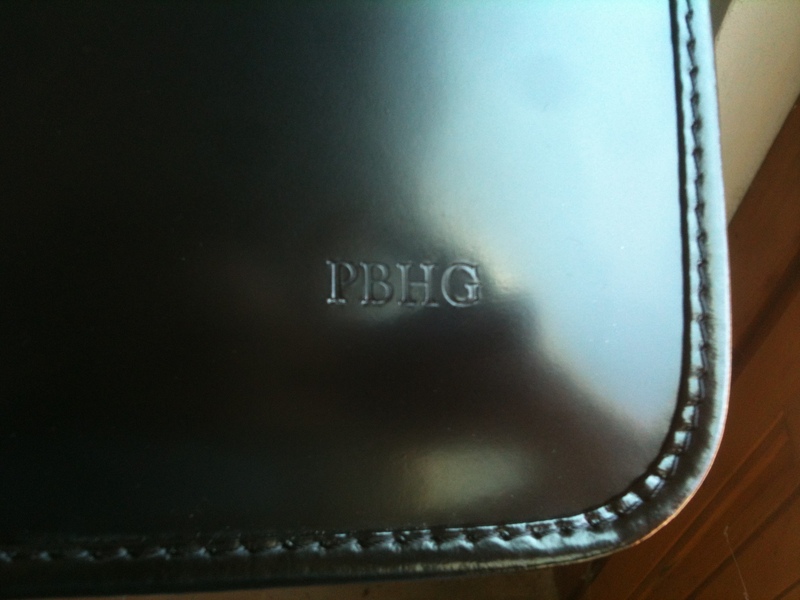 We can monogram up to 3 characters on briefcases and up to 6 on all other items. We offer letters and numbers that are stamped into the leather in block font, uppercase letters. Free Embossing is on individual orders only!! We offer blind embossing as a Default, if you like we can emboss the product with a GOLD or SILVER filling. Please let us know if you would like to have the item embossed in any of the colors.